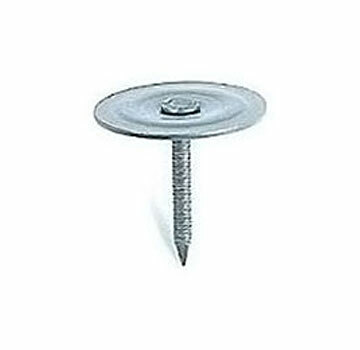 Ring shank round metal round cap nails are used for built-up roofing, modified roofing, and single-ply over nail-able wood roof decks. Also on roof felt for hot built-up roof applications. JC Hammer #EW0018C, Roofers 16 oz. Magnetic Hammer with Bottom-Clip Easy Holder (hammer is ideal for plastic and metal cap nails). Price/Each.